Every year around January, red lanterns and flowers are seen all over the town together with festive songs (including homes and radio stations) which indicates Chinese New Year is around the corner. In conjunction with the yearly Chinese New Year celebration, Kim Ma Restaurant presents you the Must Try Prosperity Set Menu!!! 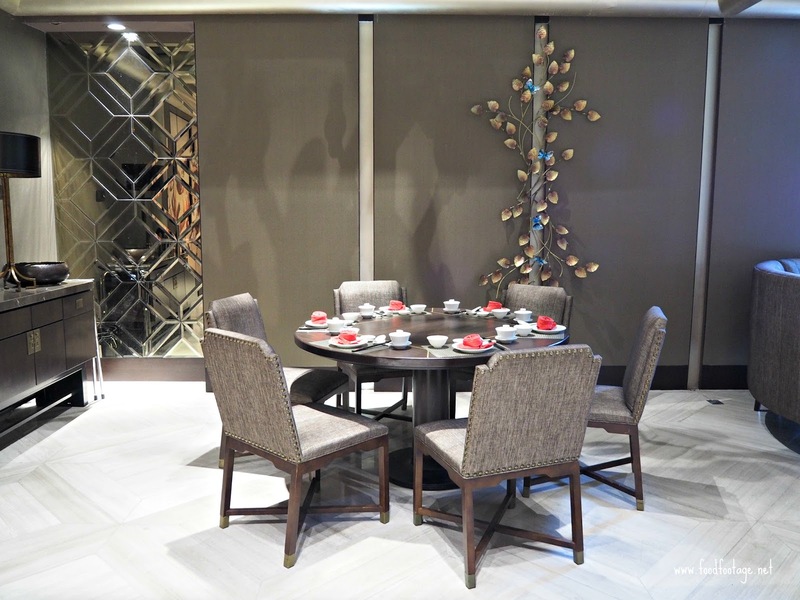 Located in Palace Of The Golden Horses, I’m very pleased to have the golden opportunity to have the first look of the newly refurbished restaurant as well as to taste on the Prosperity Set Menu – thanks to Kim Ma Restaurant!!!! 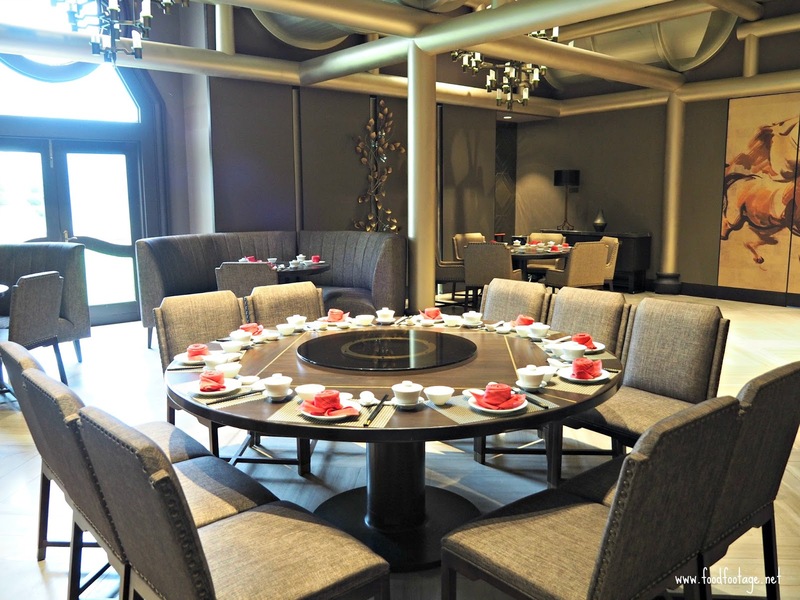 There are different types of set menu created by their talented chef – Chef Chris and his team which features 3 different sets starting from RM1088 nett for 10 person. Each set menu you can opt for Prosperity Yee Sang OR Hot & Cold Appetizer Combinations. 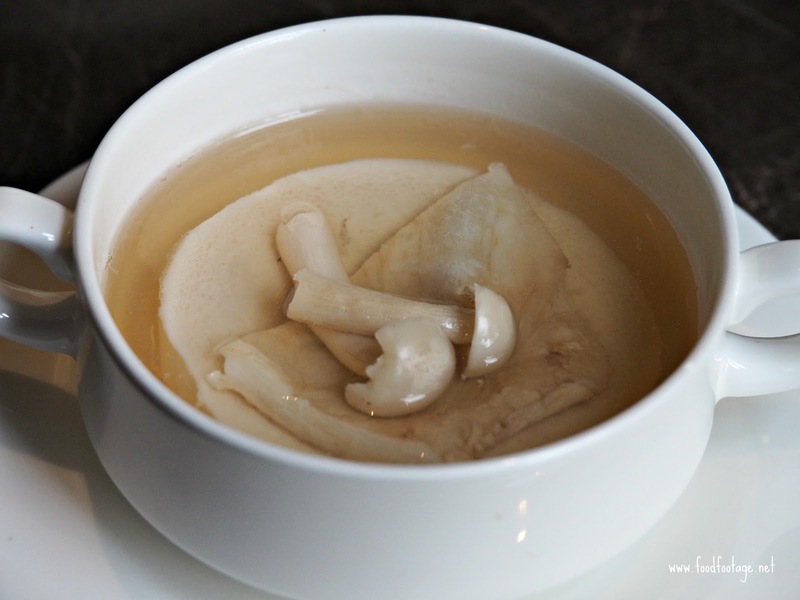 Double Boiled Minced Chicken Broth with Superior Fish Maw and Shimeji Mushroom – this hourly boiled clear chicken broth is so intense in terms of its healing properties and its flavor; definitely make your dining experience more magnificent. 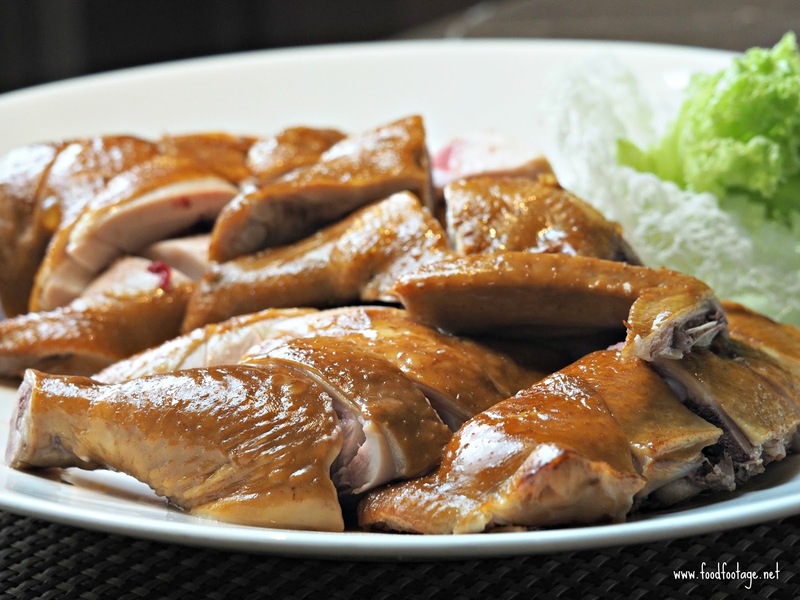 Cantonese Style Smoked Salted Free-Range Chicken – the soft, juicy and tenderly chicken bursting with flavor and aroma on first bite, one of my favorite dish!!!! 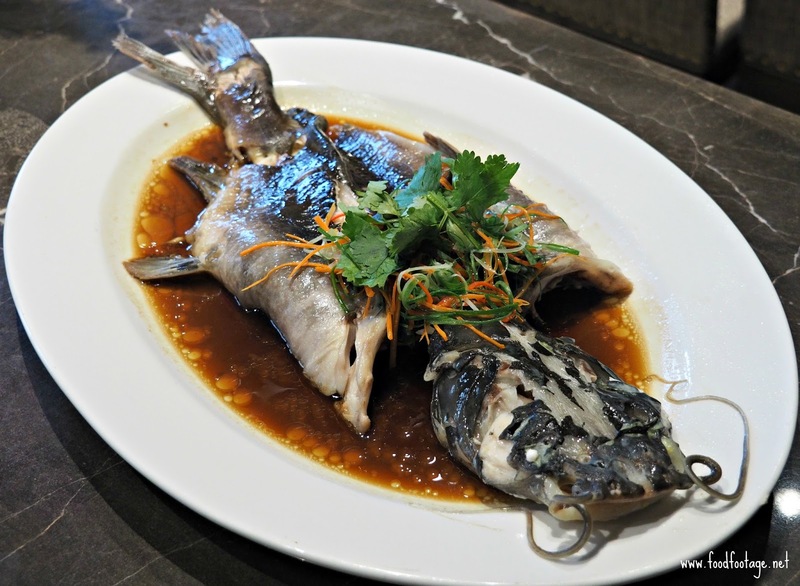 Traditional Steamed River CatFish with Superior Sauce – this simple yet traditional way giving you the most terrific way to get cleanest, purest flavor from the very fresh catfish – so flavorful and delicious!!! 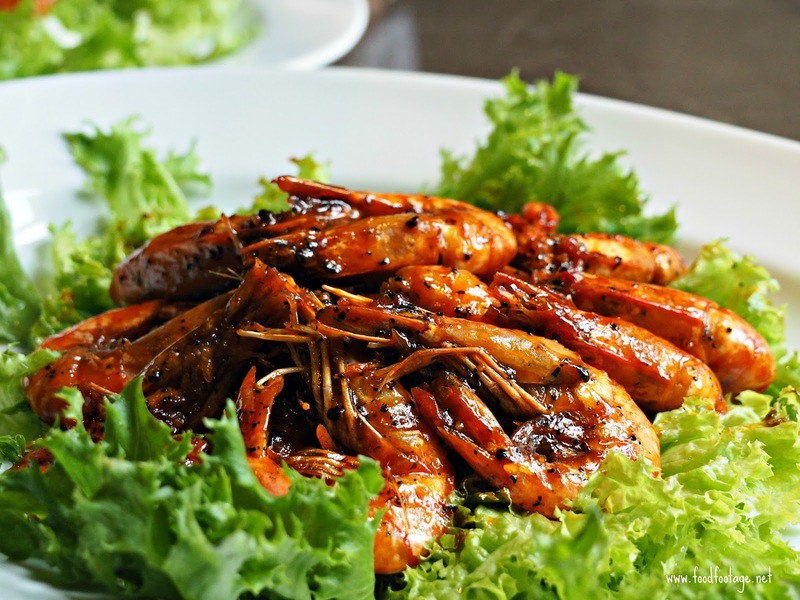 Stir Fried Large Tiger Prawns with Special Mongolian Sauce – a Chinese dish that is both spicy and sweet together with crushed red pepper flakes in it. 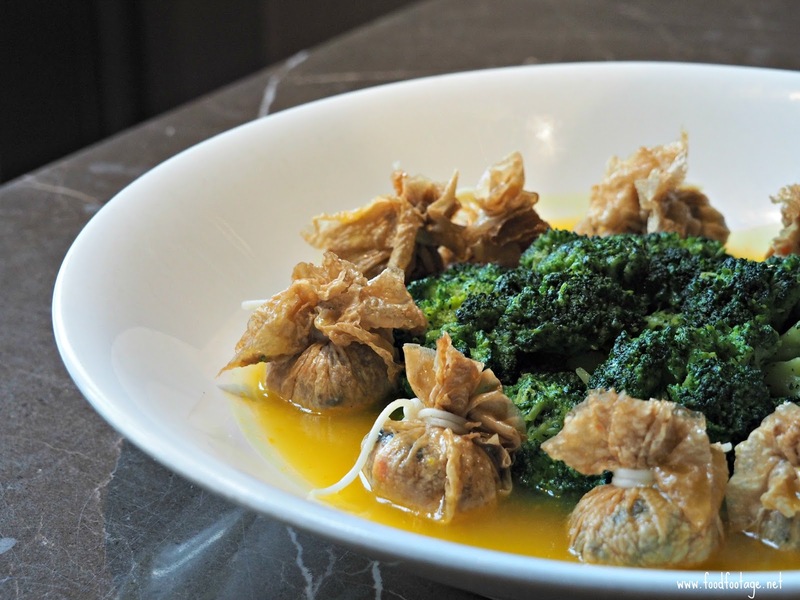 Mushroom Dumpling with Seasonal Green Vegetables in Pumpkin Sauce – mushroom dumpling wrapped with beancurd skin sitting in a pool of pumpkin sauced served together with broccoli. 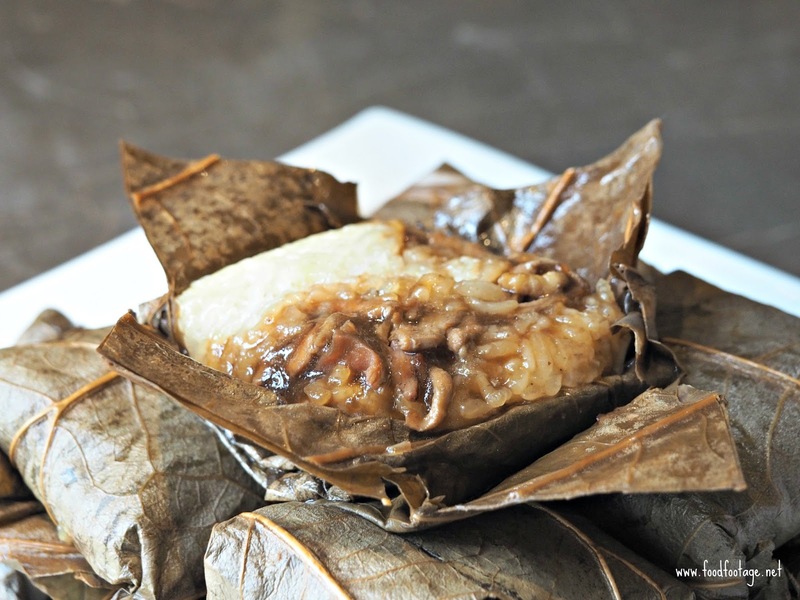 Steamed Mini Glutinous Rice in Lotus Leaf – the glutinous rice taste gooey, sweet and infused with a nice aroma from lotus leaf – one of my favorite too!!! 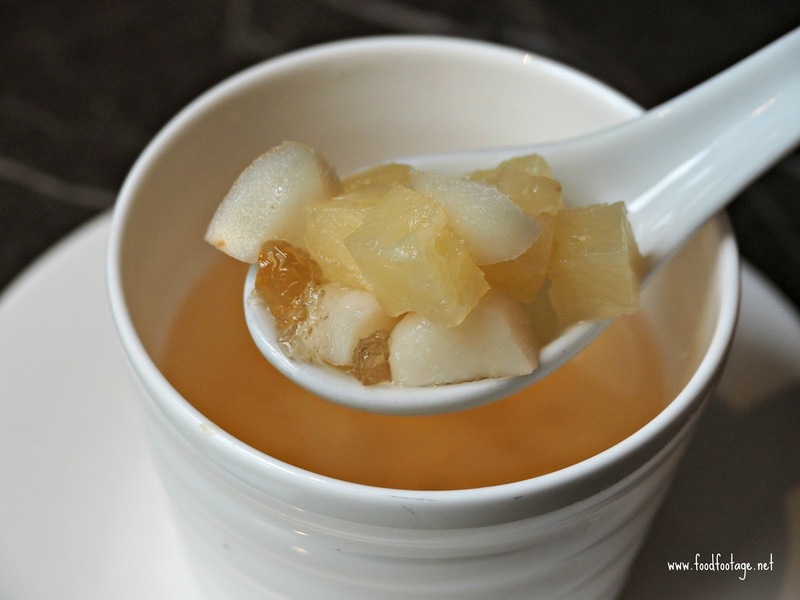 Double Boiled Pineapple and Water Chestnut with Peach Jelly – a meal is not complete without dessert; smooth, soothing and cooling water chestnut is the perfect to beat the heat after every meals. 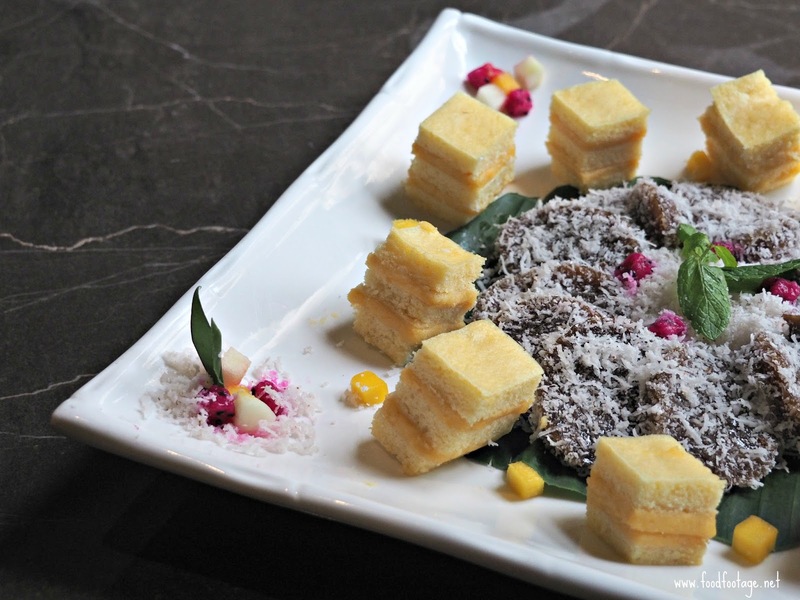 Sweet Fancy Duet – a Must Have traditional dessert in Malaysia – Chinese Nian Gao (Chinese New Year’s Cake) and Malay Cake (Kuih Melayu). 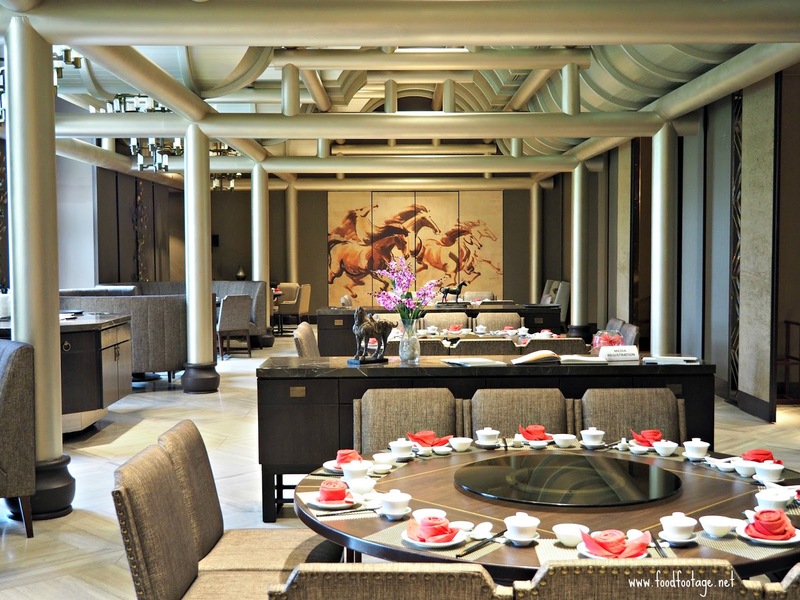 If you are a buffet person, you can always visit Carousel International Coffeehouse on Chinese New Year Eve (15th Feb 2018), and also first and second day of Chinese New Year (16th & 17th Feb 2018) at the price of RM88 nett (adult) and RM44 nett (child and senior citizen). 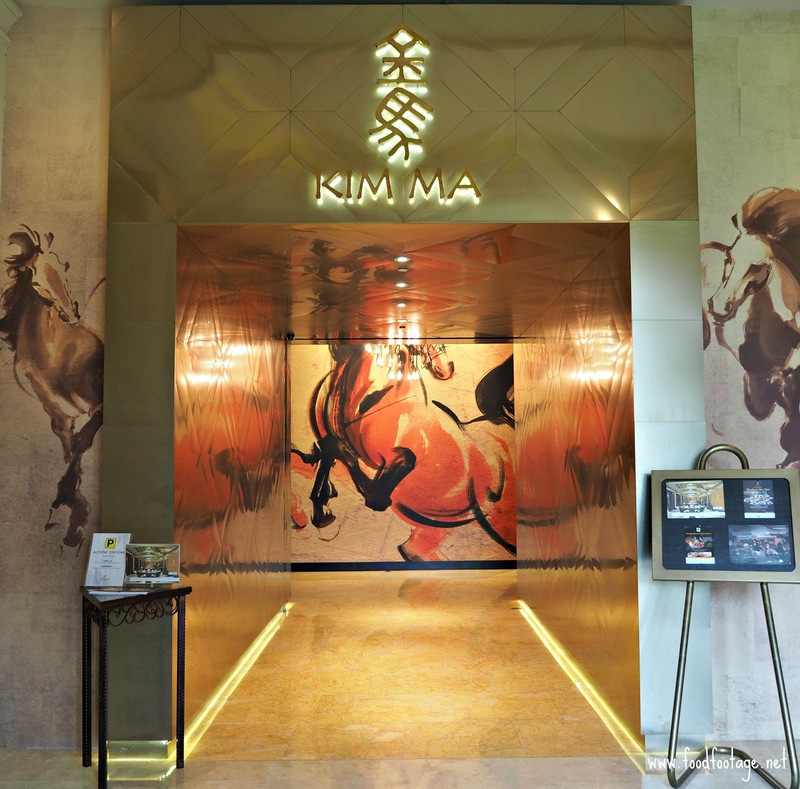 Address: Palace of The Golden Horses, Jalan Kuda Emas, Mines Wellness City, 43300, Seri Kembangan, Selangor. Chinese New Year is indeed just around the corner! While the main menu is rather traditional, I have to say Sweet Fancy Duet is not conventional in a Chinese cuisine menu. Worth trying. I've been reading lots of CNY meal since last week, and oh boy they are delicious, including these foods! Hope everyone could have a prosperous new year!! !